Well, this is certainly the week for introspection, isn't it? I'm sorry for the lack of foodstuffs-I completely understand if you want to skip reading through this long post. I promise I'll have more food for you soon. 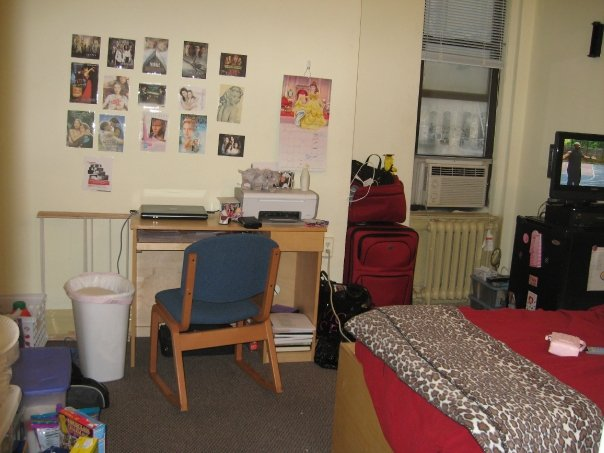 First I lived in my dorm...in Brooklyn heights. I lived by myself but was constantly surrounded by friends. This was probably the most social I've ever been in my life. 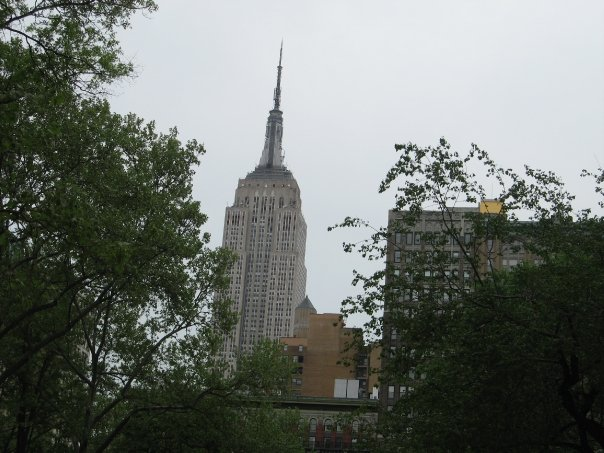 ...and this was the view from the Promenade, a short walk from my dorm. 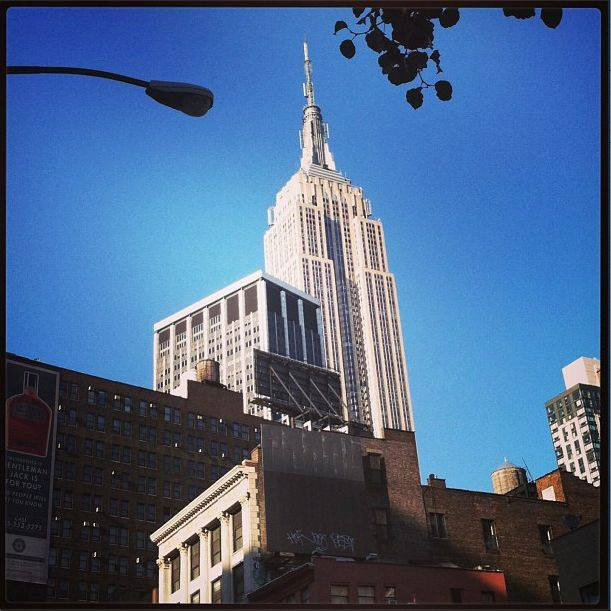 It's where I fell head over heels for this city. And I spent every day with one of the most diverse groups of people. 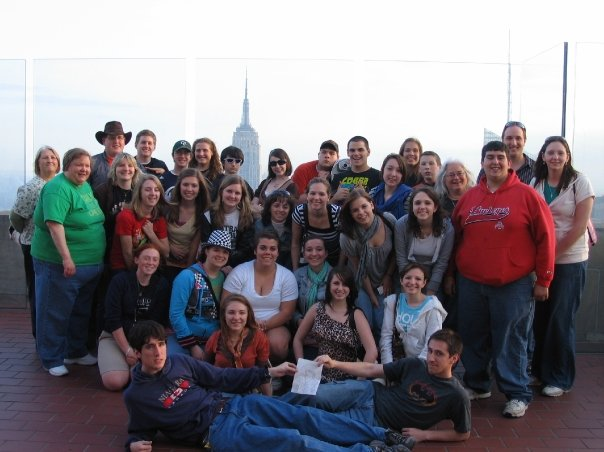 I went from a small Catholic school in a small town in Ohio to spending all my days with people from Mississippi to England. 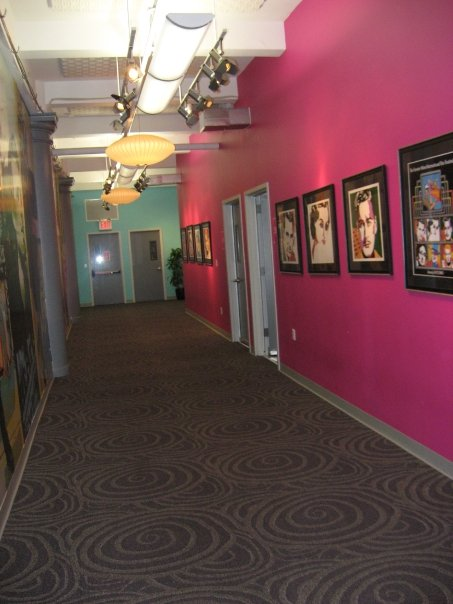 And I walked through these halls, learning from teachers who were also actors, directors, etc. 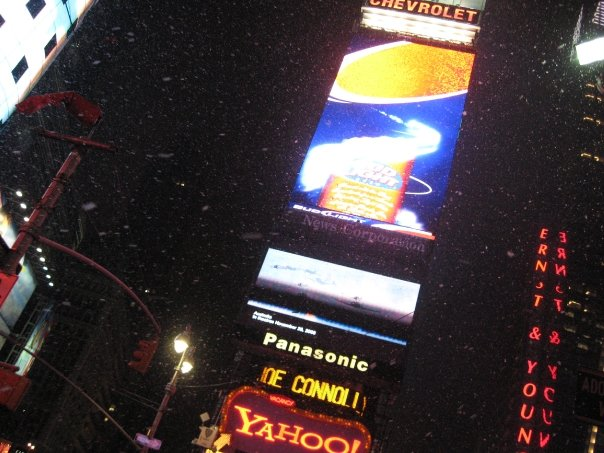 And it was overwhelming and emotional and hard but also fun and exciting and awesome! There were days where it was unbelievably emotionally taxing, and other days where we all just gave each other massages. 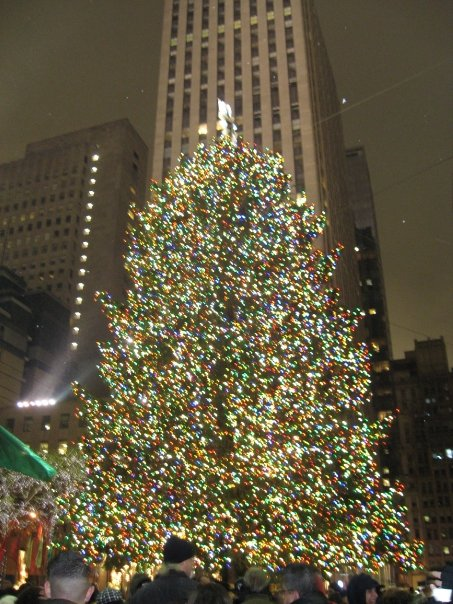 and then Rockefeller Center. Where I, every single year, would return to see all the Christmas decorations and the tree! I also fell in love with this restaurant I heard my classmates raving about. Talking about hot chocolate that tasted like a candy bar...I knew I had to go there! And I did. 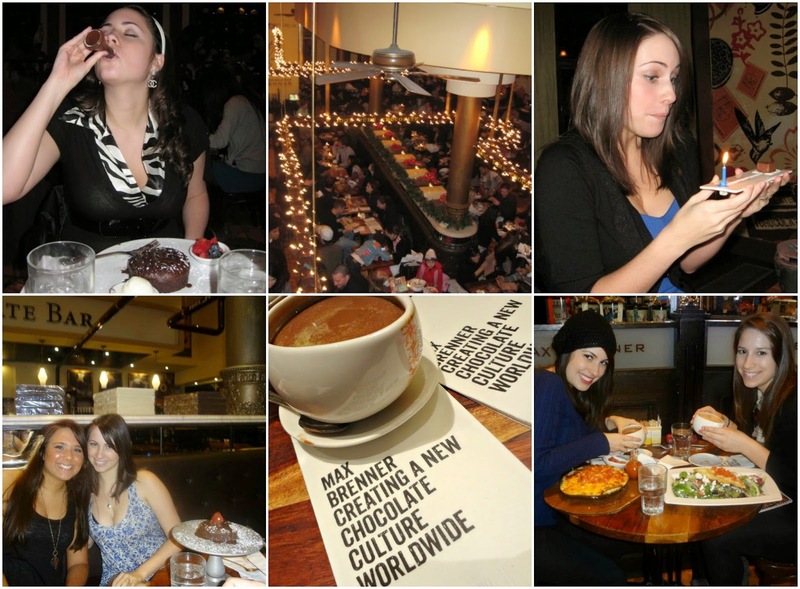 Then I went there like once a month for that year...and I went there for many birthdays and dates and just fun times...Ah Max Brenner's Chocolate by the Bald Man, I will miss you. You've ruined all other hot chocolates for me. (Note: The first photo, with my hideos outfit, was from my first trip. And that's pure chocolate I'm taking a "shot" of. 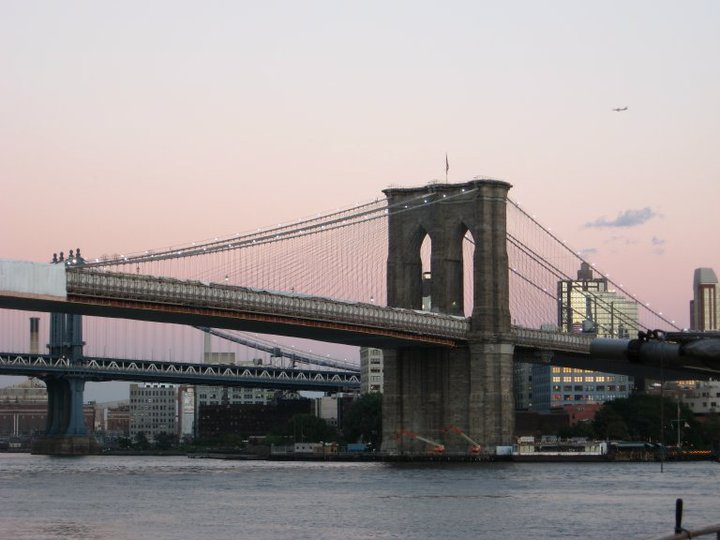 And when I went back to Ohio for break, all I could do was think about how much I missed the city, and how I couldn't wait to be back and greeted by this beautiful sight: The Brooklyn Bridge. Spoiler: It was Michael. He's in the front right with the Batman shirt. I'm the chick kneeling cluelessly next to him in the leopard print shirt. This was about 2 months before we got together. 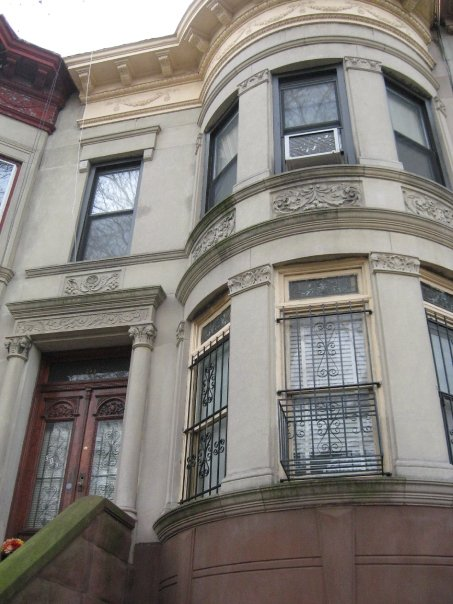 I moved into this brownstone in Crown Heights, Brooklyn. It was supposed to be a fun house filled with all my friends!....It ended up being an absolute nightmare with a squatter, gangs, an endless amount of mice, a crazy landlady, and the few friends I did end up living with (the rest had to leave due to aforementioned squatter) I ended up never speaking with again. Because we hated each other. So...yeah. That happened. But at least I had this guy. I fell more and more in love with Michael and I loved every time he came to visit. And I learned even more in school. With an all new class. And I became even more enamored with acting. And before I knew it-I graduated! (I am now the owner of a nifty certificate). I got to see myself on a movie theatre screen for the first time. And of course I am obsessed with that. 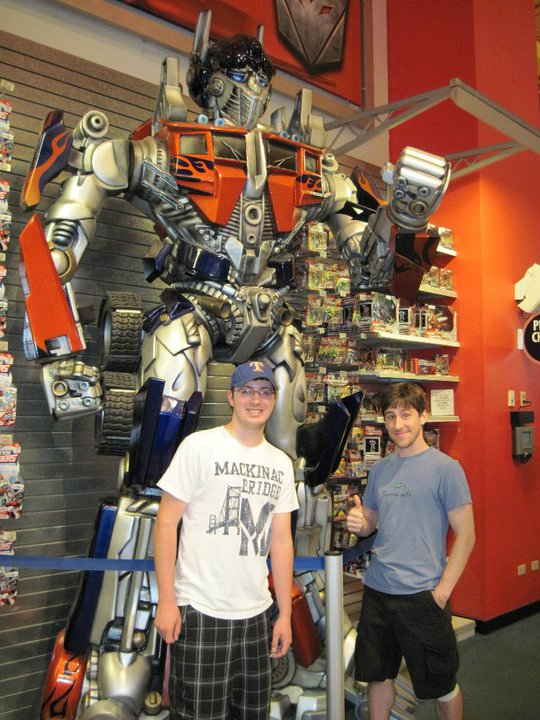 Look how skinny Michael was before I overfed him. Poor dear. And I celebrated my 1 year anniversary (my first one ever, mind you. My relationship luck prior to Michael was abysmal). We had a picnic at Chelsea Piers and it was beautiful. 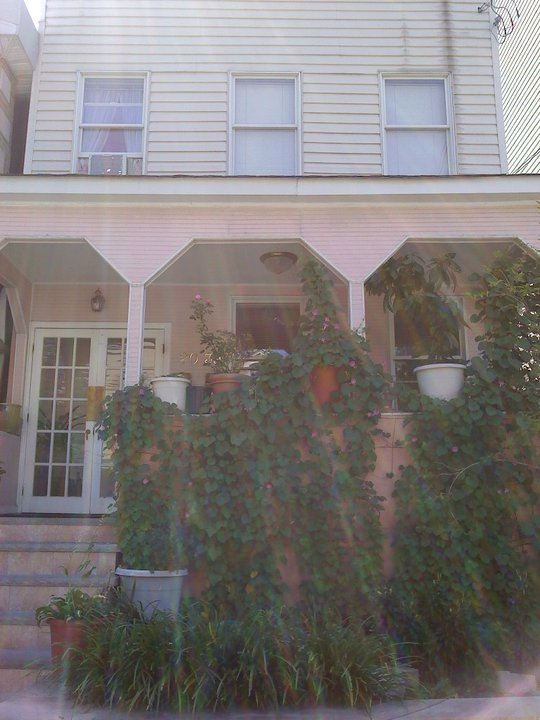 Then I moved into this adorable pink place in Astoria. 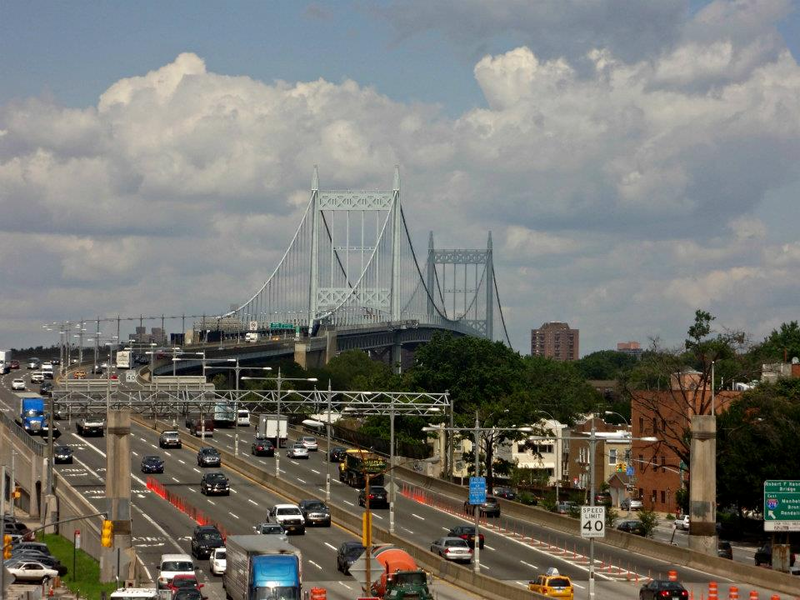 And when I moved to Astoria I knew that was the place for me. 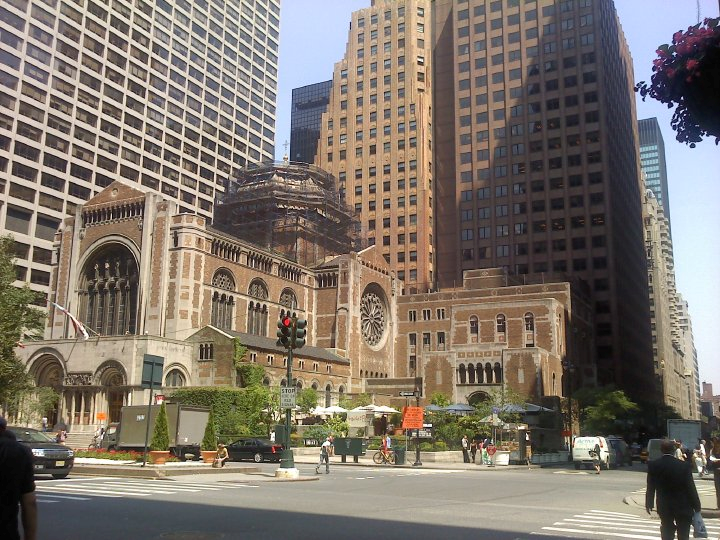 It has been my favorite area to live in (although Brooklyn Heights is close-just much more expensive). 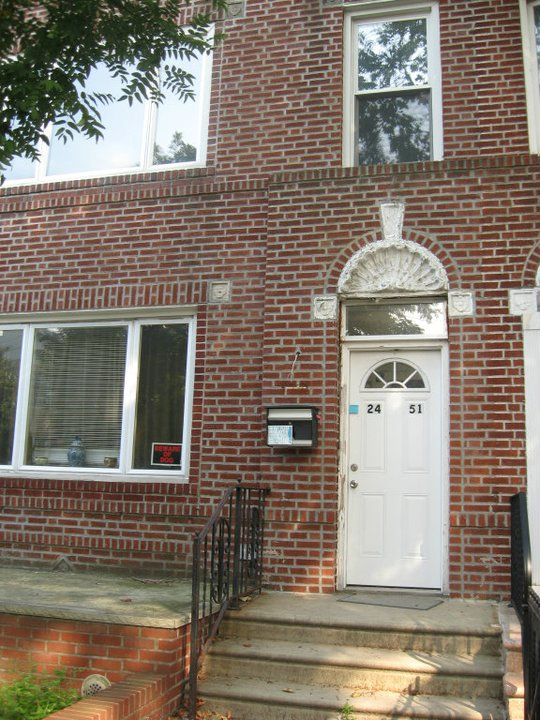 I really enjoyed the apartment, but once again by the end of my time here, me and my roommates hated each other. 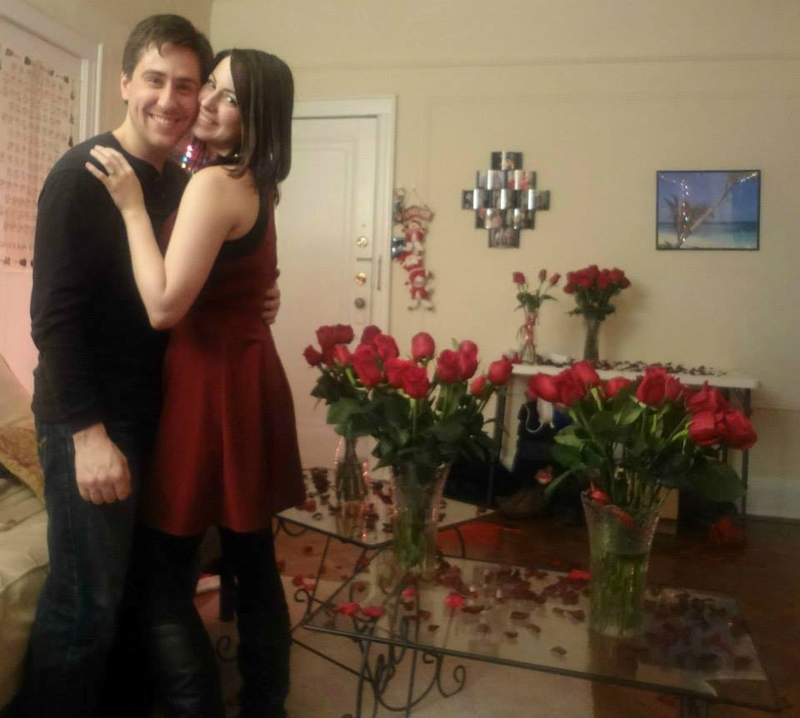 I was so happy when I was able to move on to my next (and final) NY apartment with Michael. ...the fact that I got to pass by this amazing bakery, my FAVORITE bakery, every day made up for it a bit. 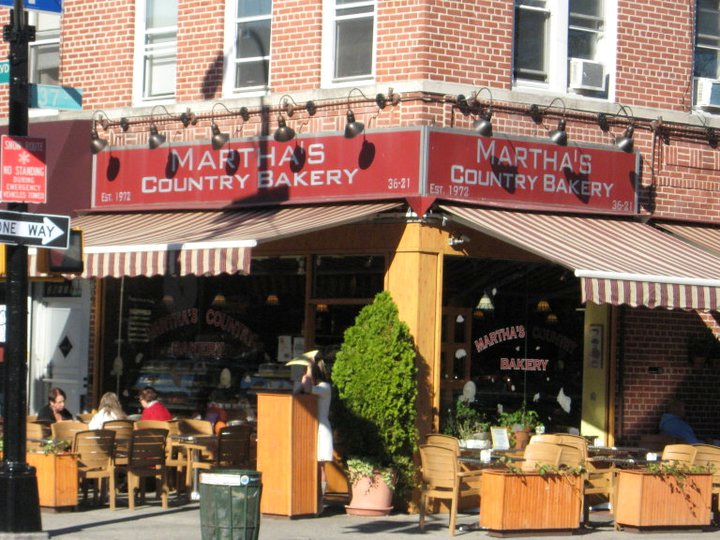 *sob* Martha's! I don't want to leave you! 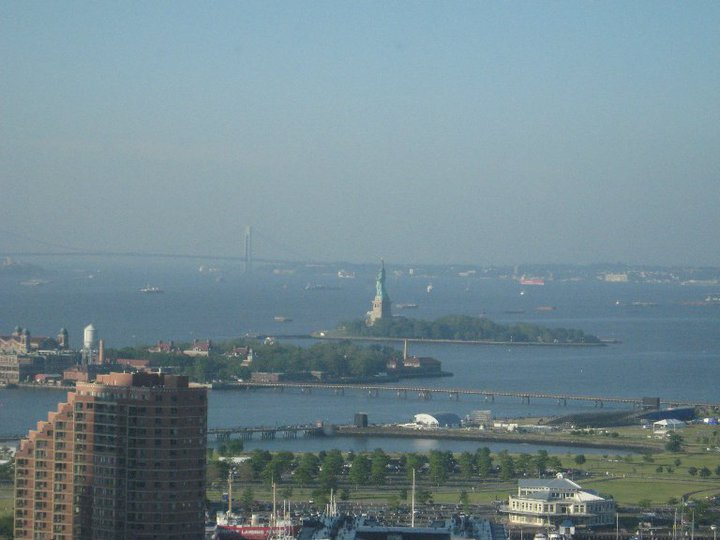 Sometime between Jersey City and Astoria, I got my first job (aside from 1 babysitting gig) in New York City. I was a hostess for Inside Park. It was an awesome experience (with delicious food). 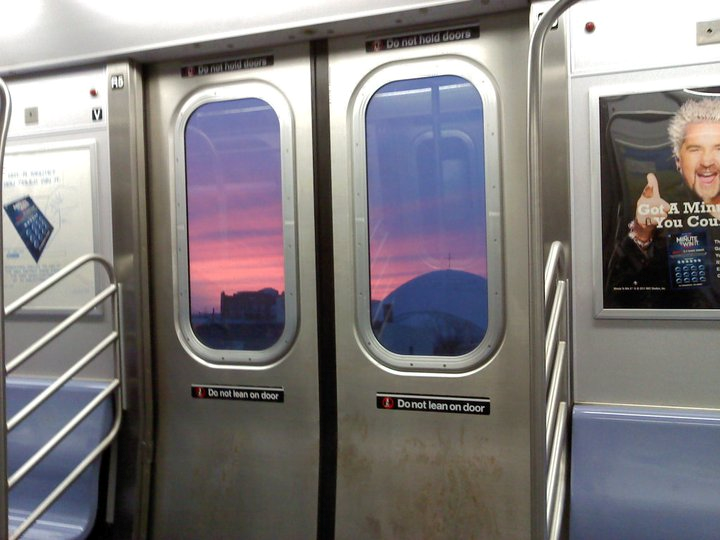 and I got to see the sunrise on my subway ride home. That is an incomparable experience. 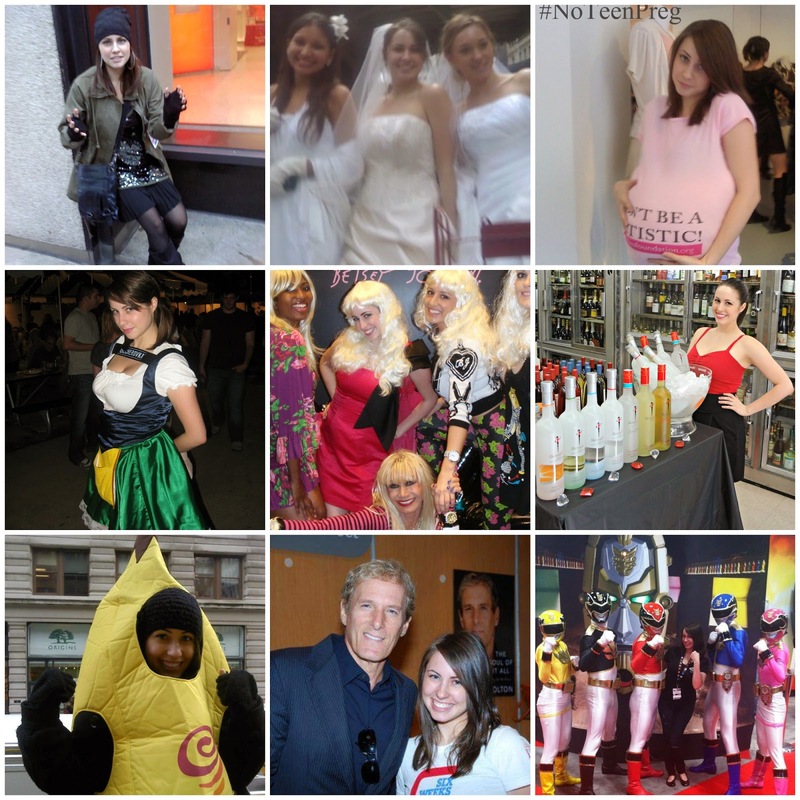 I went on to work a RIDICULOUS number of promos: I've been dressed up as a banana, interacted with celebrities, got oodles of free stuff, and had many many experiences (good and bad). It's never boring! I also had so many visitors! My mom came to see me TONS, Michael obviously visited often, my brother came once, and my dad and grandparents even made it out here. I'm a pretty great tour guide. And I could never forget when my best friend (and now maid of honor) Alex came for a week long trip! We had the BEST time! I also did some modeling. 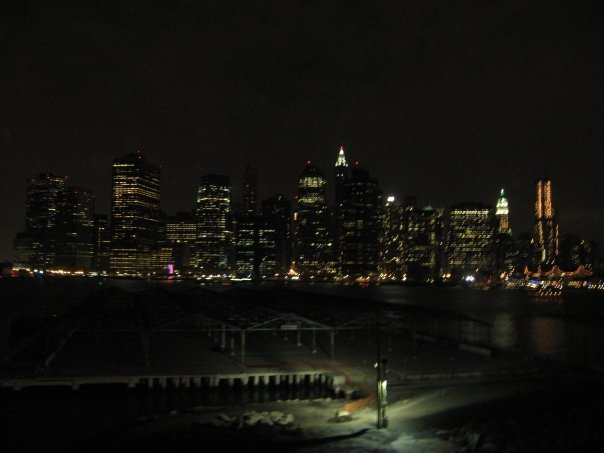 And found the city to be an awesome backdrop. Finally....I moved into the apartment that I am moving out of today. This has been my favorite place to live. It has truly been home. Mine and Michael's first home. The only place I lived in for more than a year. So many spectacular memories. I have completely adored it here. 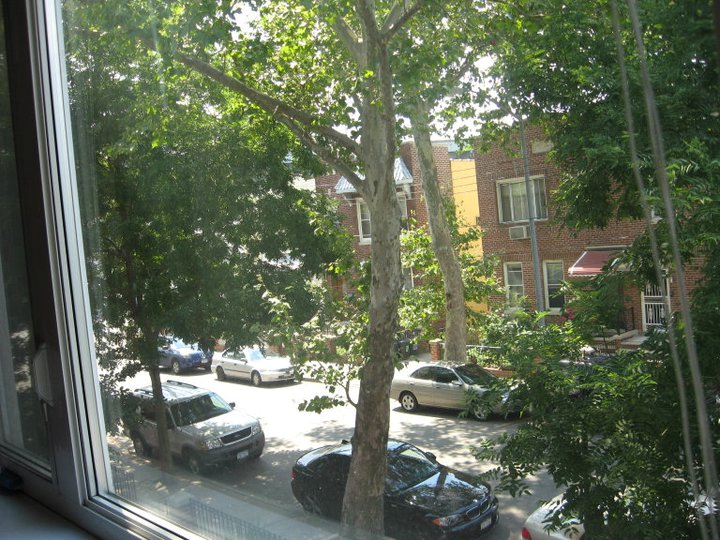 And I've loved looking out my kitchen window to this view every day. 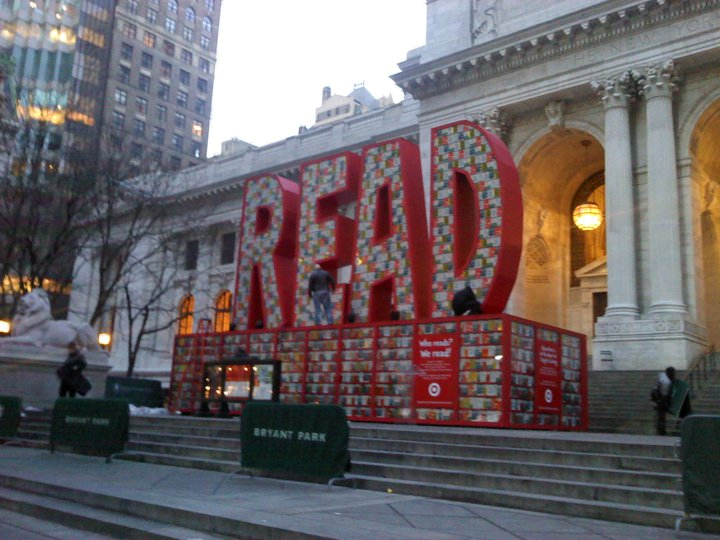 And seen this loveliness when I am on the subway platform (almost every day). 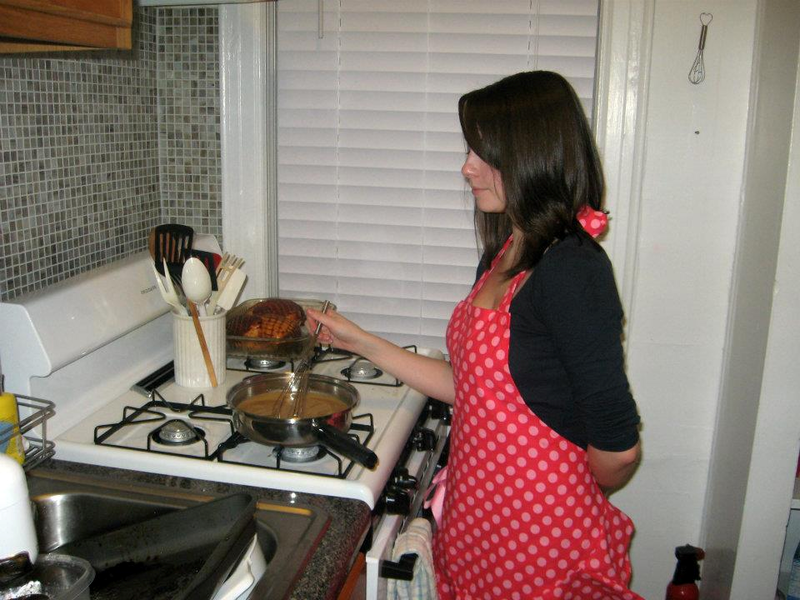 and, in this apartment, I really learned how to cook and bake. This blog began to flourish. 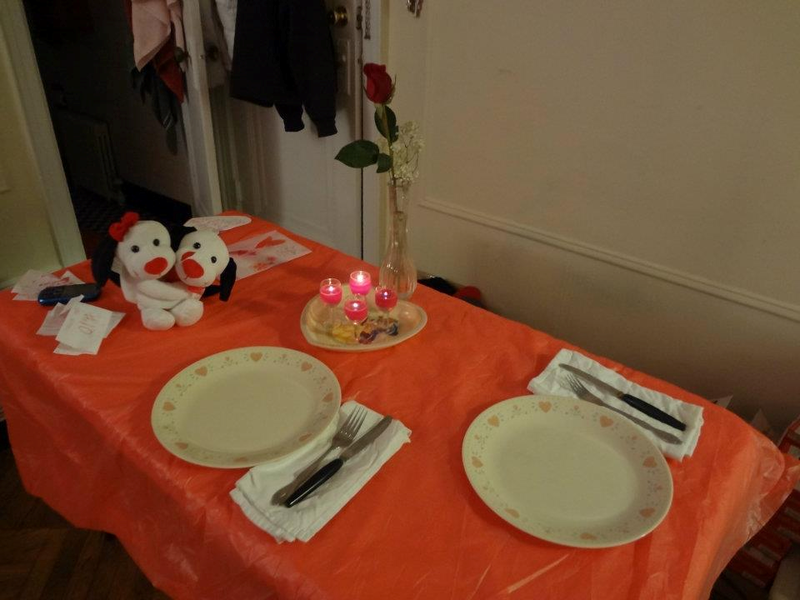 I got to have my first Valentine's Day, together, with Michael. I became in-person friends with so many wonderful food bloggers through being in NY (Susan...Mallory...Ashley...Joanne...Anita...Jennifer...Tara...Lauren...Kristin...Erika...Lindsey...ETC!) 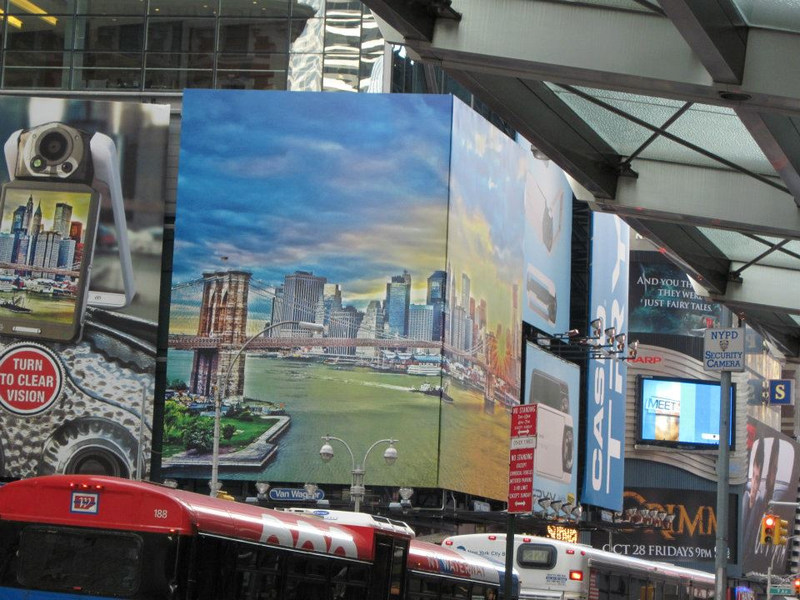 A highlight of this was the whirlwind food tour of NYC I took when Hayley (The Domestic Rebel) came to visit! 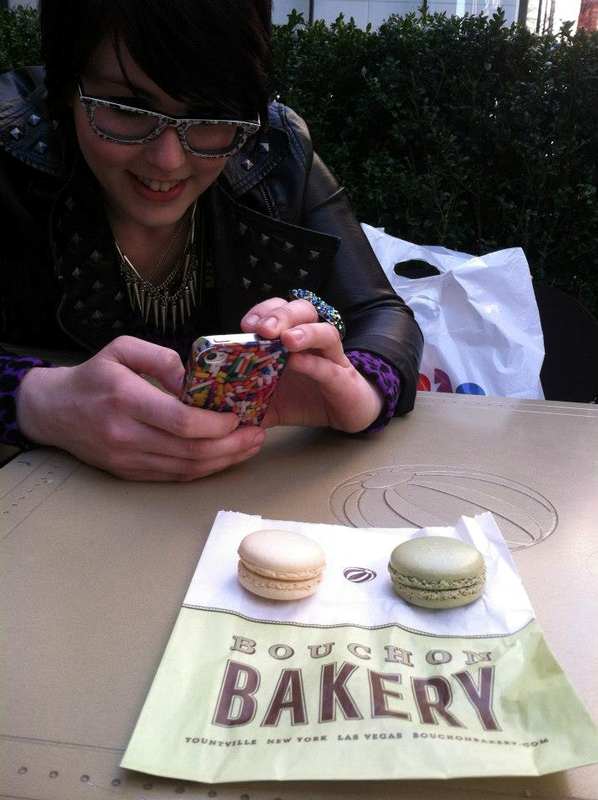 Bouchon is still the only place where I actually have been impressed by the macarons! 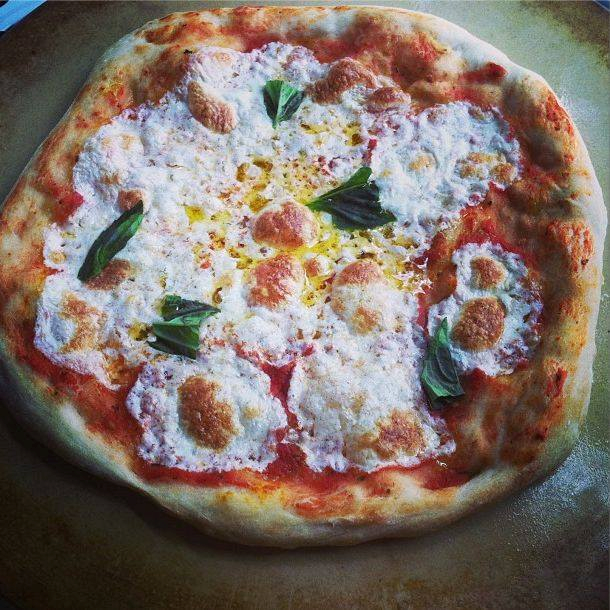 I learned how to make Neapolitan pizza in Little Italy. 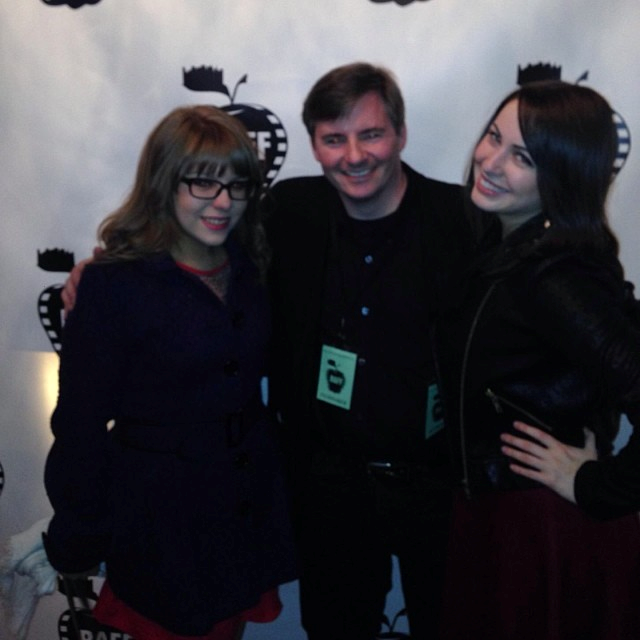 I attended a NY film festival for a short film that I starred in. You can view the short film, Downsized, on youtube. And oh yeah. I got engaged. In this apartment. 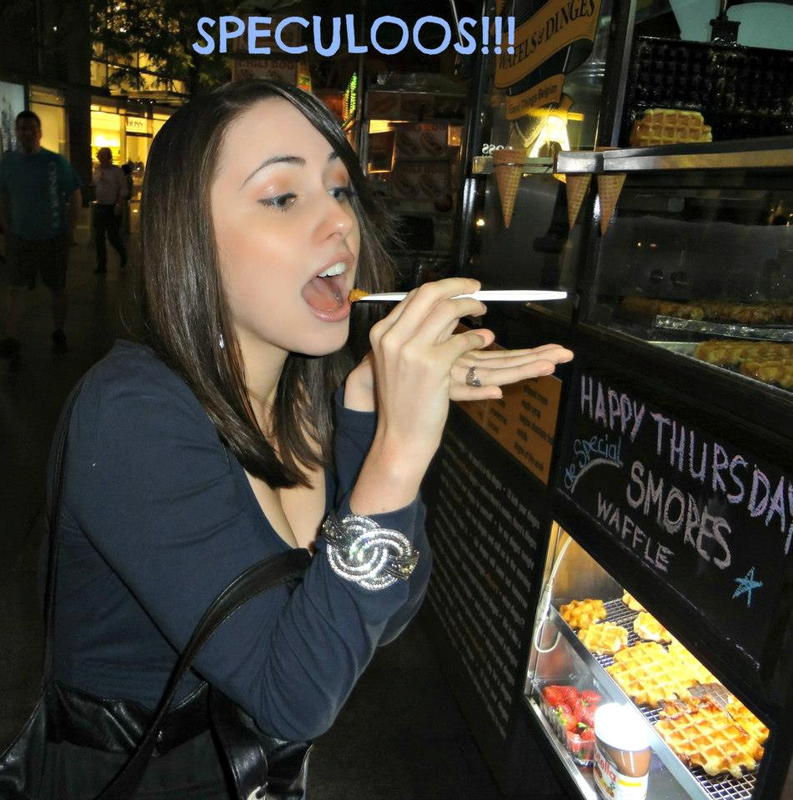 I tried speculoos for the first time at a Wafels and Dinges truck. And, I've eaten my weight in wafels from aforementioned truck (my preferred topping for those, though, is nutella :P) This is probs. my #1 gonna miss food item from here! 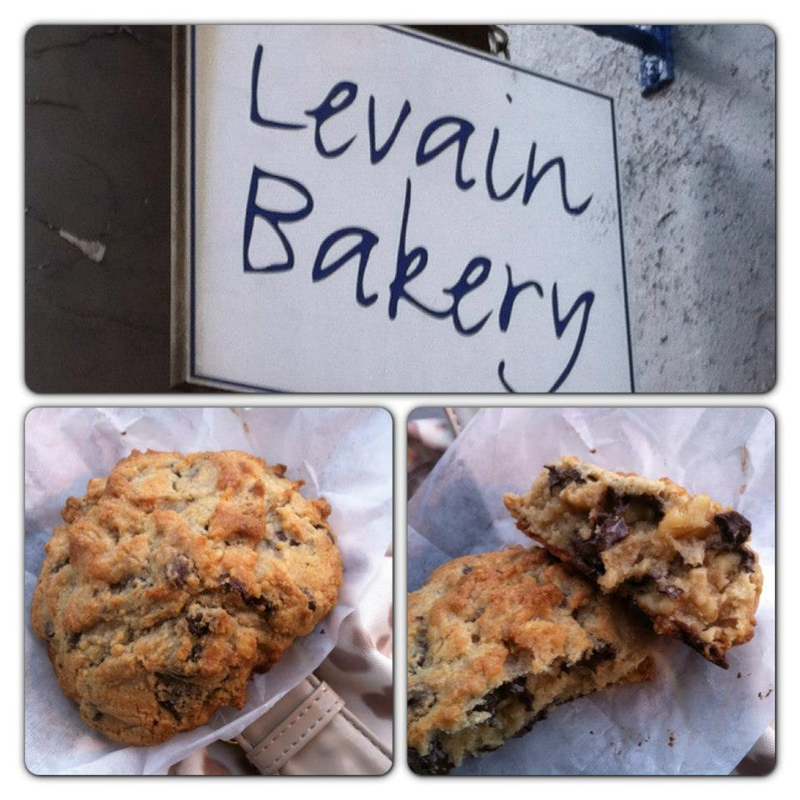 I'm also going to miss Levain bakery's famous chocolate chip cookies. Best cookies I've ever had that I didn't make. Plus...I mean...THEY'RE SO BIG AND GOOEY! 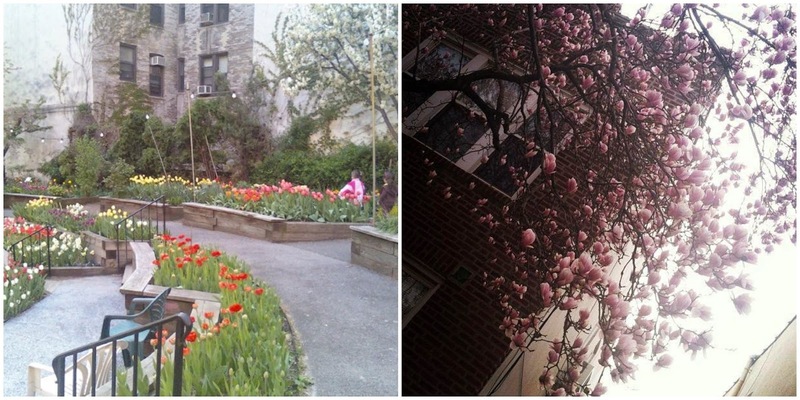 I will miss the lengthy, beautiful, wonderful and perfect New York City springs (excluding this year). 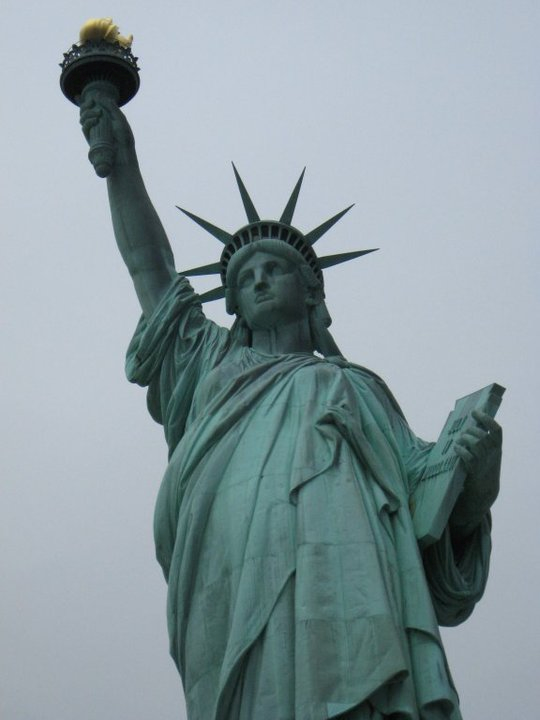 I will miss this pretty lady's face, which I've seen from afar countless times and up close on 1 awe-inspiring trip. 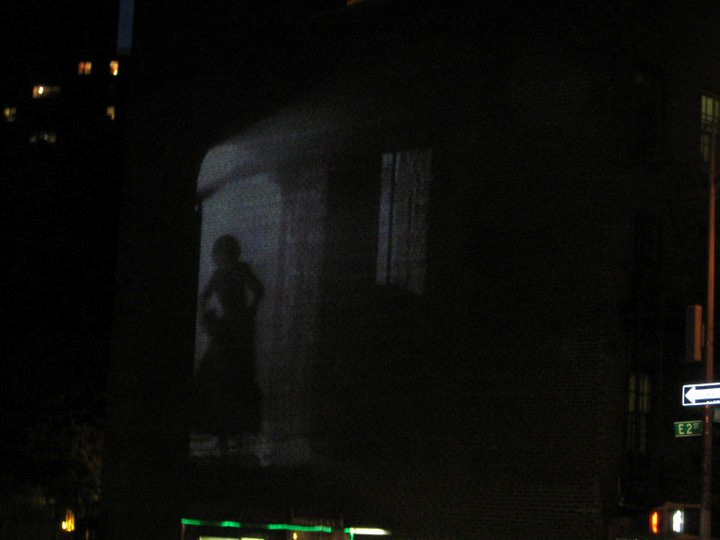 I'll miss randomly stumbling upon things like an old, black and white, movie being projected on a lower east side wall. 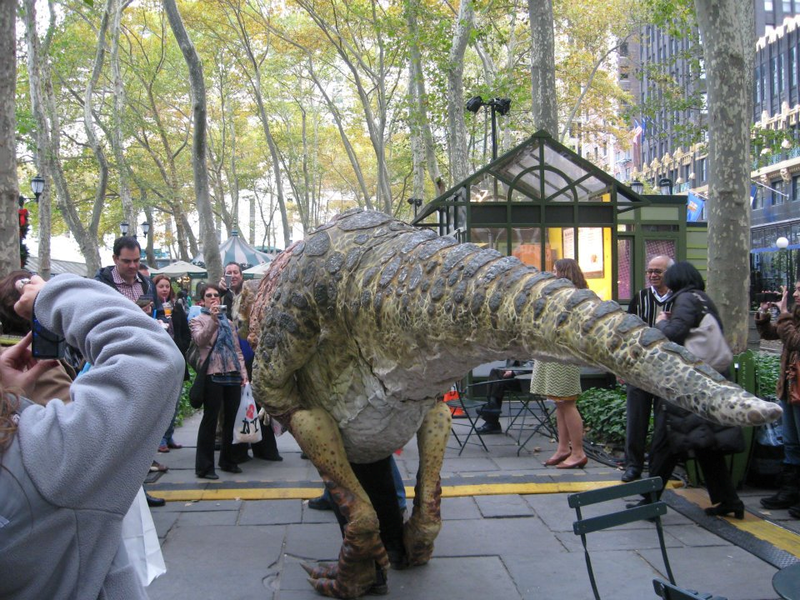 Or a dinosaur, just walking around Bryant Park. Like a boss. 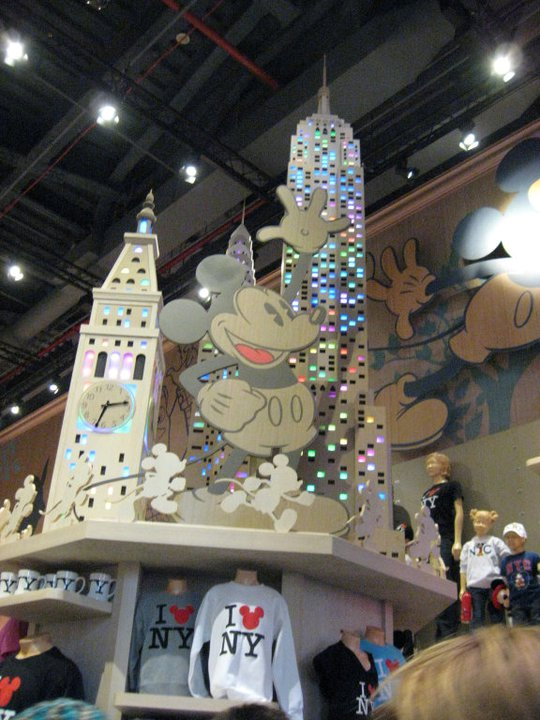 I'll miss the magical wonderousness that is Time Square's Disney Store. I have celebrated 6 birthdays here. 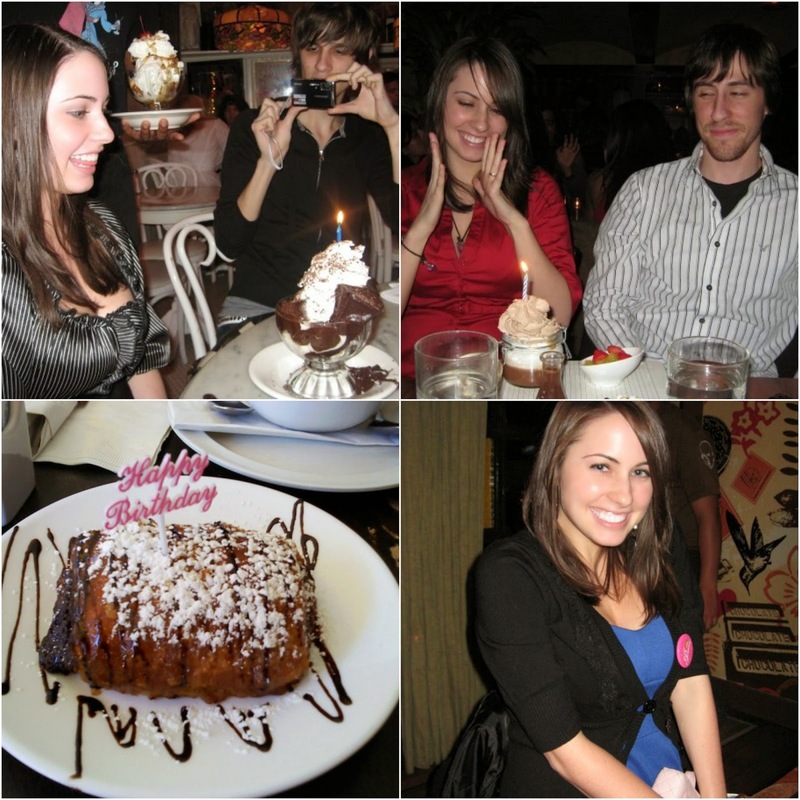 19 (Serendipity co-birthday with a classmate), 20 (Max Brenner's with friends and my first birthday with Michael), 21 (the death by chocolate birthday. Involved Martha's Country Bakery, Godiva, Dylan's Candy Bar, and...again...Max Brenner's. ), 22 (first birthday with Michael living here. I had Godiva and Ruby Tuesday's and Sant Ambroeus), 23 (a day with my cousin Emily-my first time having a Levain cookie, and Outback Steakhouse), and-finally 24 (a day of collecting freebies, culminating in dinner at Rare). 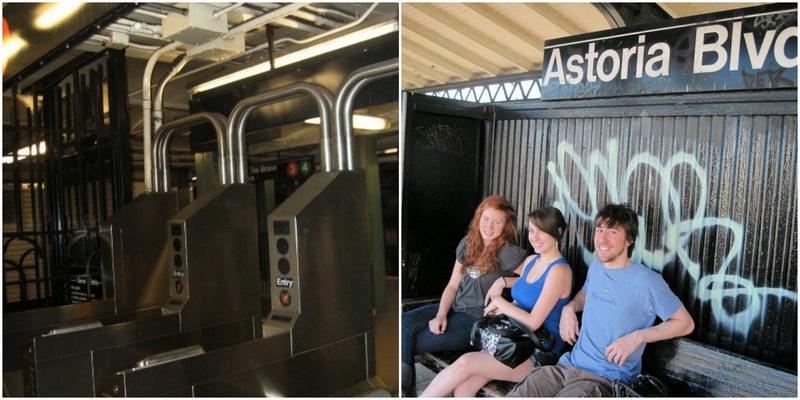 I have not only ridden the subway like a bjillion times...I've figured it out. It took me a couple years, but I've got the subway doooown. And I liked it. I'll miss you subwayyy! 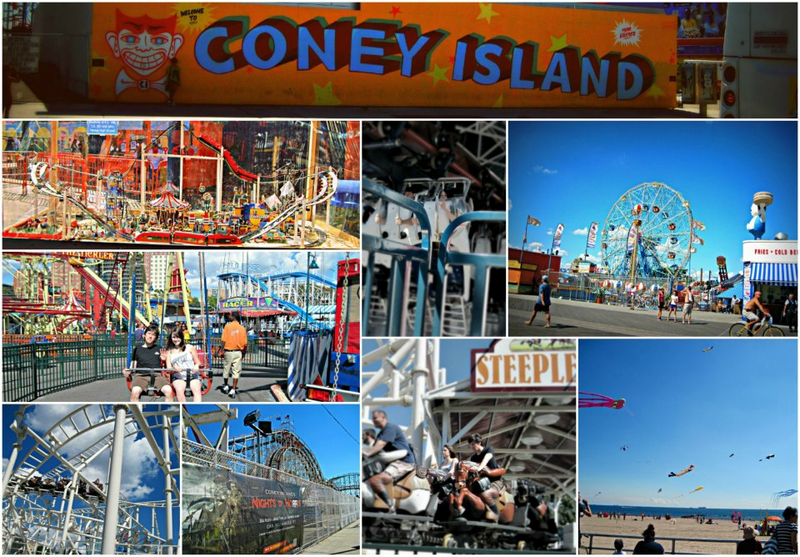 I even rode the N train all the way to the other end-Coney Island! I got to experience that fun with my mom and Michael. One of the best days. 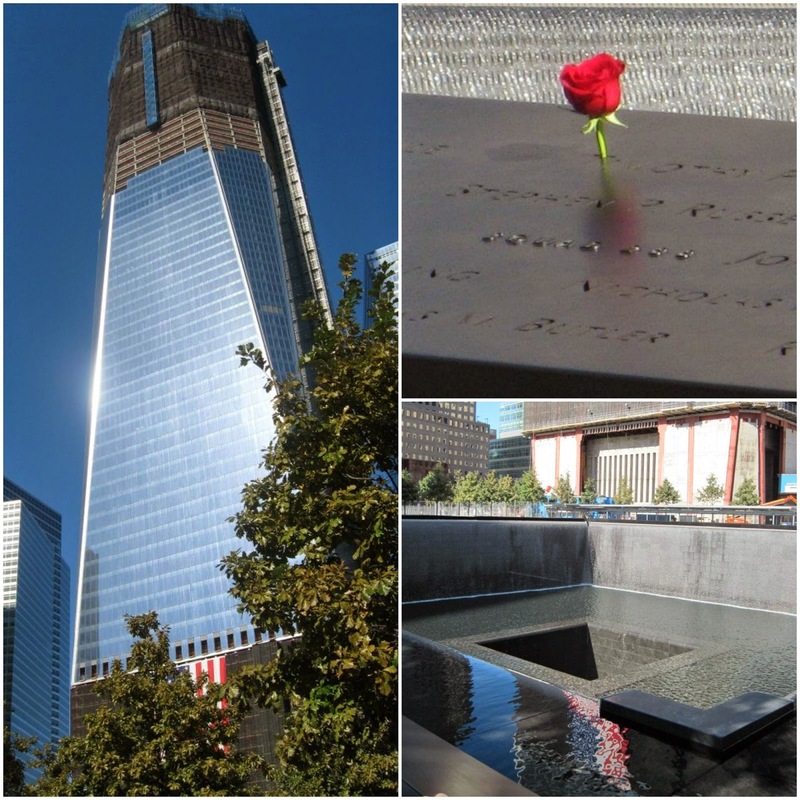 I've seen the 9/11 memorial (a few times)-I hope I can someday see it when it's finished! 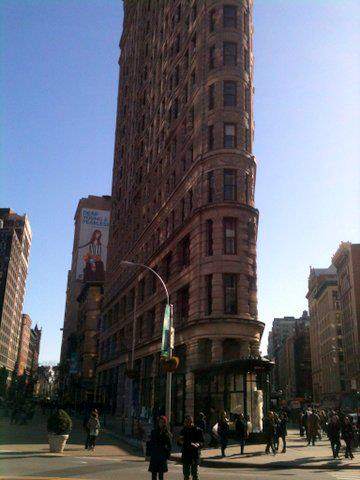 I've encountered the crazy cool Flatiron building in its natural habitat. 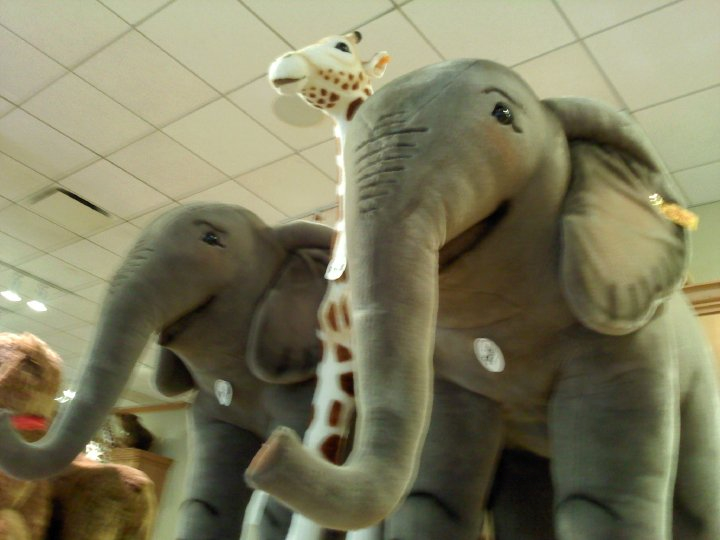 Look how happy the elephants are! If only they didn't cost, like, $1000. 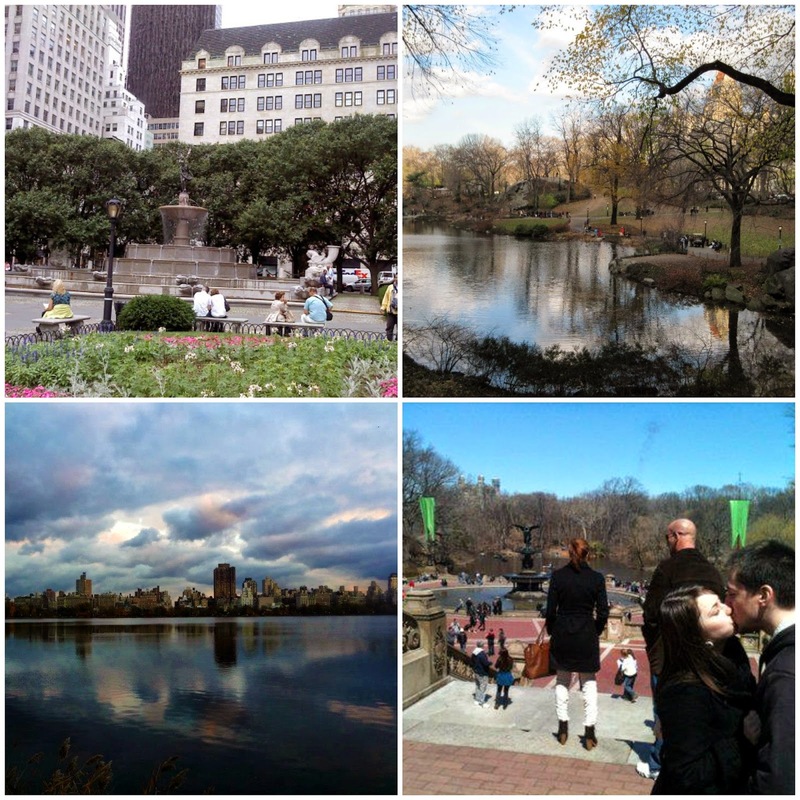 and even though it took me a couple years to get up the courage, I did eventually get to explore and enjoy the beauty and mystery that is Central Park (one of Michael's favorite things to do). 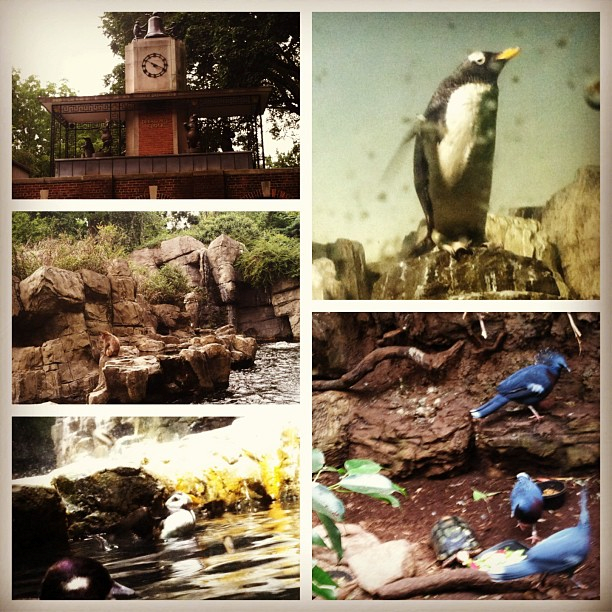 I was even lucky enough to pay a quick visit to the Central Park Zoo while I was babysitting once! And....I lied. 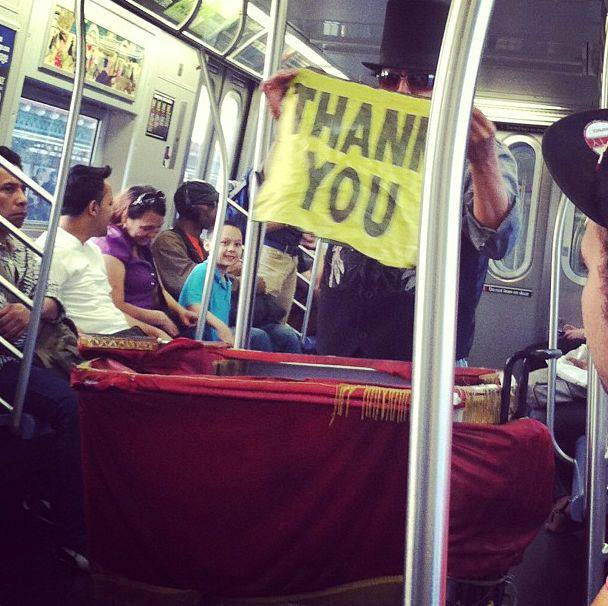 I will include this one collage from my big last day in the city yesterday. It was perfect.